Since moving to Boston, I’ve come to a very important conclusion. Brunch is by far my favorite meal of the day. Here’s the thing. Bostonians also seem to love brunch! On a trip to the South End, I had actually planned on trying the South End Buttery. A good friend of mine swears by the place! Unfortunately, when I had attempted to eat there, I didn’t realize the restaurant section was very small and reservations are essential for eating before 2pm on a Sunday. Of course, I’ll be sure to make a stop there at some point. However, if I had been able to eat at the Buttery, I would have never had an opportunity to try Tremont 647’s famous pajama brunch. First, the name says it all. Servers, hosts (and maybe the cooks) are all decked out in their pajamas. If you want to showoff your new reindeer PJs, Tremont 647 welcomes you! 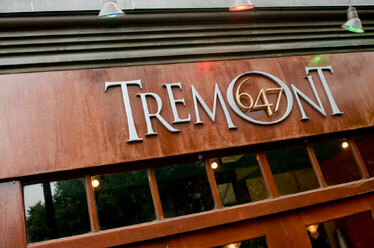 Outside of the fun atmosphere, I was able to grab a table right away – that in itself was a huge win for Tremont 647, considering I had called a few other restaurants and they all had two hours waits. The service and the food were excellent. To eat, I selected a simple dish, their version of scrambled eggs and bacon. Nothing about the simplicity of the food diminished the taste though. The server also recommended the breakfast sandwich for my friend, who remarked that it was also delicious. All in all, the experience itself was fantastic. It seems like the restaurant could get incredibly busy because of its size but its definitely worth trying. After an initial visit, I can’t wait to put on my snuggie and go back! If brunch isn’t your thing, you might also consider their $2 Taco Tuesdays. Just be sure to get there early and bring your appetite. This entry was posted on Friday, December 23rd, 2011 at 12:18 pm	and tagged with Boston, Brunch, South End Buttery, Taco Tuesdays, Tremont 647 and posted in Activity. You can follow any responses to this entry through the RSS 2.0 feed.